9 Candies You Need To Get Your Hands On This Halloween! These 9 artisanal treats are elevated takes on your favorite Halloween classics. Whether you're hung up on trick-or-treating or simply having a very sweet tooth, Halloween is always an occasion for a splurge! How many mouthfuls can you get of Uranus? 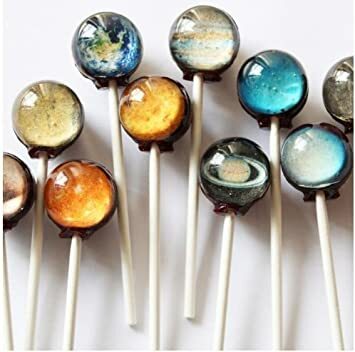 These lollipops fashioned in the likeness of the planets of the solar system will send chills down your spine, whether you're licking it down to non-planet status size, or devouring a planet in a single bite. People in the military are tough, but these Army Men gummies from Albanese Confectionary are oh so soft with a green apple flavor. 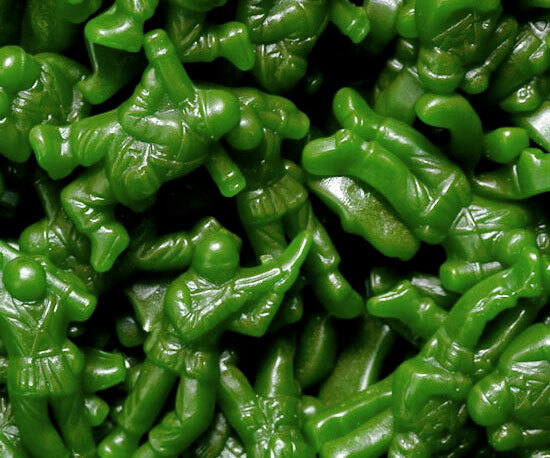 Made to look like the Army Men plastic toy soldiers many of us grew up loving, these Army Men gummies will easily be your best friends this Halloween. Made with pectin, and not gelatin, these spook-tacular mix of heavenly sours from Sugarfina is suitable for both vegans and vegetarians. It also bears mentioning that its sweetness comes from real fruit juice and a light dusting of tart sugar crystals. Imagine a huge granny smith apple hand-dipped in a copper kettle filled with the brand's very own homemade caramel. I mean, who doesn't love some hand-dipped goodness. What's my personal favorite you asked? The Dunked Caramel Apple with Dark Belgian Chocolate & Wild Hibiscus Sea Salt will definitely leave you wanting more. This has to be an epic achievement in the history of mankind. 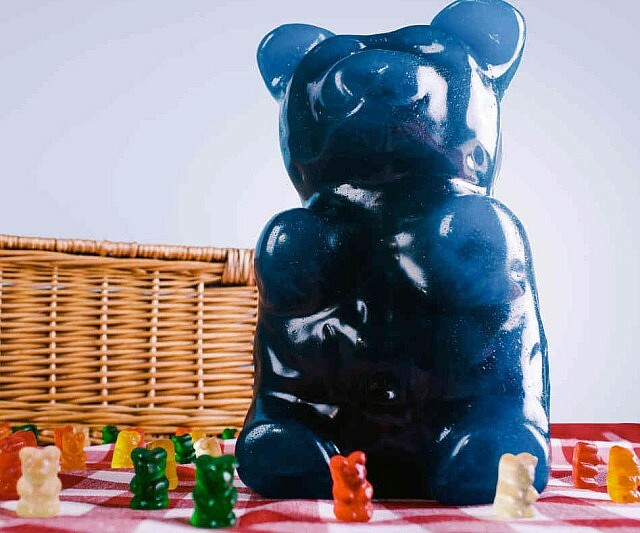 The massive gummy bear weighs boasts a wide variety of uses outside of its own weight in nutrition, which is more than 4.5 pounds. Don't hesitate to enjoy this monstrosity of sugar this Halloween! This is literally the candy bar that started the company, and once you take a bite, you'll see why. This chewy bar features roasted peanuts in a golden caramel atop a creamy chocolate nougat, ALL covered in a delicious rich dark chocolate. Violently blow your diet away by scarfing down Valerie Confections' Pumpkin Seed Toffees. Each piece is studded with roasted pumpkin seeds, then meticulously hand-dipped in bittersweet chocolate and topped off with smoked paprika and Durango smoked salt. Make your soul shine with the glow of a thousand gummies when you reward yourself this Halloween with La Zamorana's Calabaza. For more than 40 years, this family run candy company has produced limited runs of traditional Calabaza fruit jellies each fall for Dia de Los Muertes. This delightful treat is made with just four ingredients: squash, lime, water and sugar. Though not technically candy, there is no better way to celebrate the day after Halloween with poo-poo that will shine with a captivating gold hue. You might not be made of money, but with Citizen's gold pills, you'll be able to drop golden stools.